April 19, 2017 (Corona, CA) — Aluminati Skateboards introduces the Mullet, our first concave deck that features a longer length with vintage style. Part of Aluminati’s Ultra-Lite series with channels that advance performance while maintaining strength, flexibility, endurance and uniqueness, the Mullet offers a 28 inch deck with a 0.25 inch concave. The Mullet shape is a throwback to vintage cruisers and is available with any Aluminati graphic of your choice. 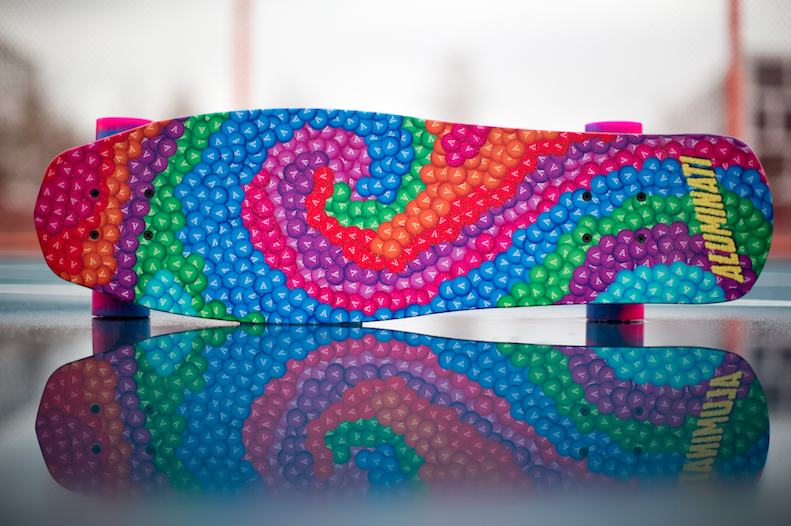 Aluminati Skateboards is reimagining the cruiser board. Recycled aircraft grade aluminum, integrated clear grip and endless graphics options make Aluminati the new classic. Born and built in Southern California, Aluminati fuses the tradition and nostalgia of cruiser boards with the performance and precision of modern technologies. 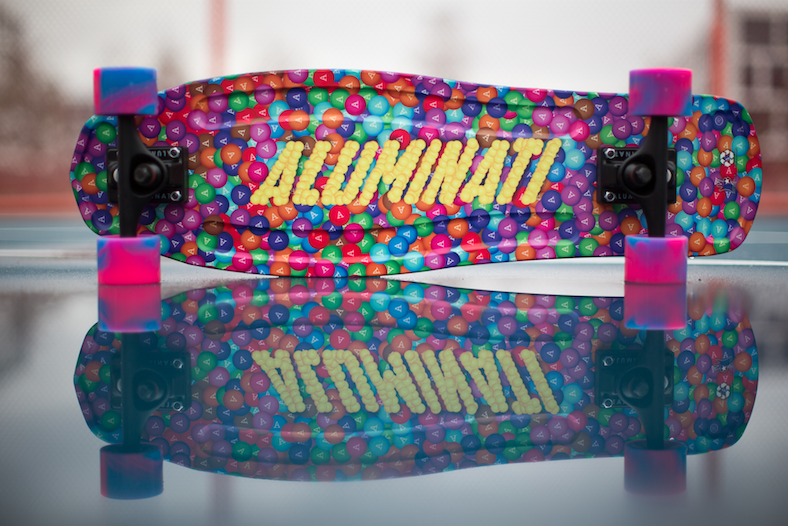 Aluminati’s dynamic and vibrant graphics are a product of a proprietary, in-house manufacturing process that is as innovative as the precision machined aluminum deck. Save a Tree, Shrink a Landfill. Ride Aluminum, Love Aluminum.